1) What years did you coach at Capo, and what did the team accomplish during your tenure? 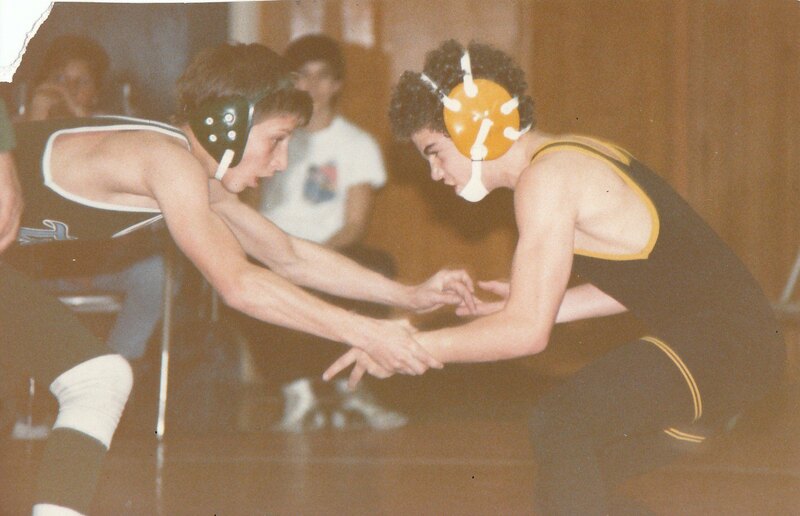 I was the head wrestling coach at Capistrano Valley High School from 1983-1988. During my time at Capo, we won four South Coast League Titles and had a 59 match win streak. In 1988 the Cougars took 2nd at 5-Counties (we were the top team in California at that tournament. Shawnee HS, Oklahoma, won). 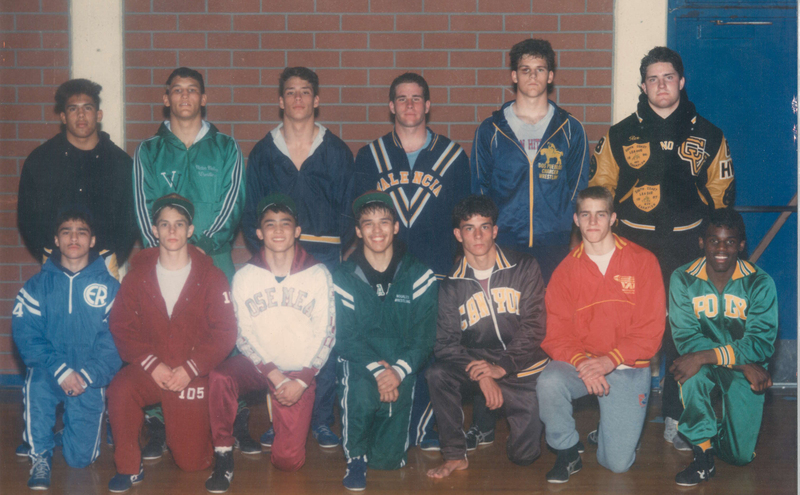 We also finished 11th (1987) & 2nd (1988) at the CIF State Championships. 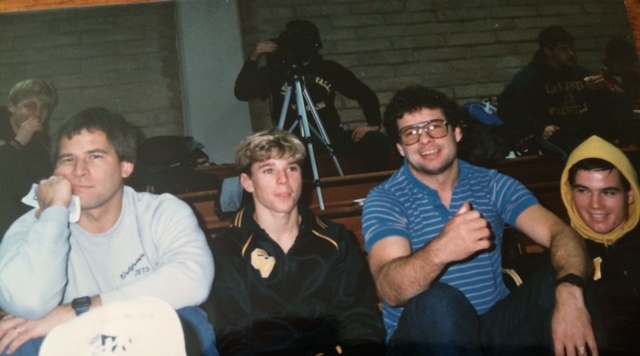 My two favorite moments from my experience at Capistrano Valley High School would be: Tim Ige, winning his semifinal match to become the first Capo wrestler to wrestle for a CIF State Championship in 1985, and in 1987 when Mike Phillips, who finished 5th in the CIF Southern Section, defeated future MMA Hall of Famer, Dan Henderson, in the CIF State Championship finals to become the first Capo wrestler to win a CIF State Championship. 2) What did you do after your coaching tenure at Capo? I left Capo to become the principal at Calvary Chapel HS, where I hired and coached with John Azevedo, where we won two CIF State Championships. 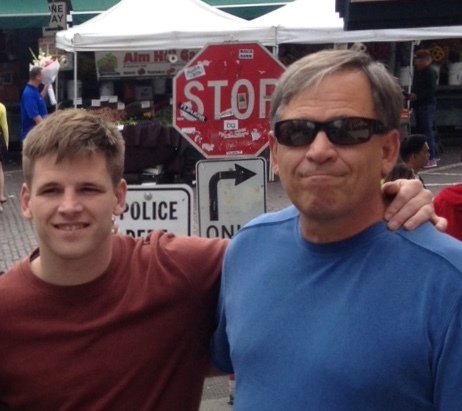 In 1994, our family moved to Northern California, where I became Dean of Calvary Chapel Bible College and was the walk-on head coach at Bear River HS, in Grass Valley. Bear River, a small school with 750 kids in the CIF Sac-Joaquin Section, never had anyone qualify for state. After four years, we finished 13th in the state and had 5 CIF State place winners. I finished my coaching career at Clovis West HS where we finished 5th and 6th in the CIF State Championships. During this time period, I was the head freestyle coach for California USA Team at Junior Nationals, and the team won the freestyle National Championship. We also hosted the USA Dream Team Classic, the only time it has been held in California. After retiring from coaching I was honored with being inducted into the California Wrestling Hall of Fame, USA National Wrestling Hall of Fame, and the Orange County Wrestling Hall of Fame. 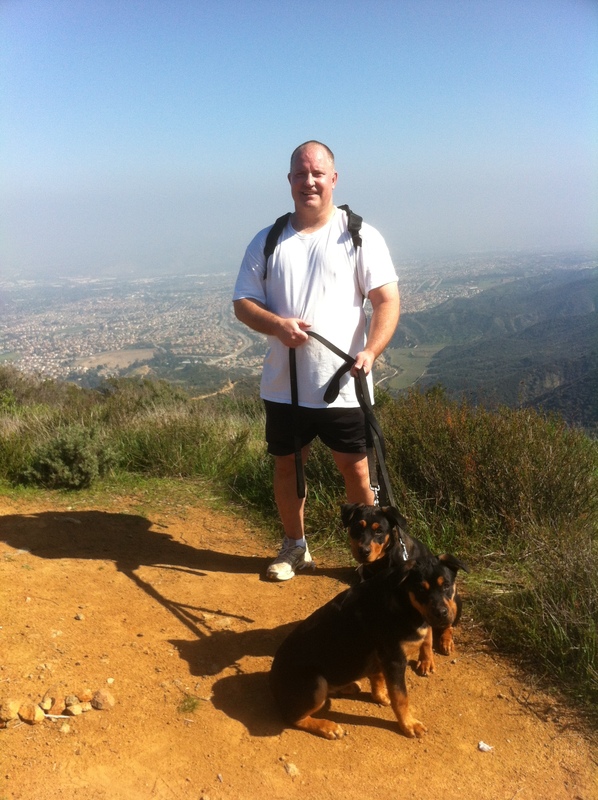 I am currently working in the private sector at TimeValue Software in Irvine. My wife Mary and I just celebrated our 33rd wedding anniversary. My daughter Mandi, became a successful architect, is married to another architect and living in Beverly Hills. 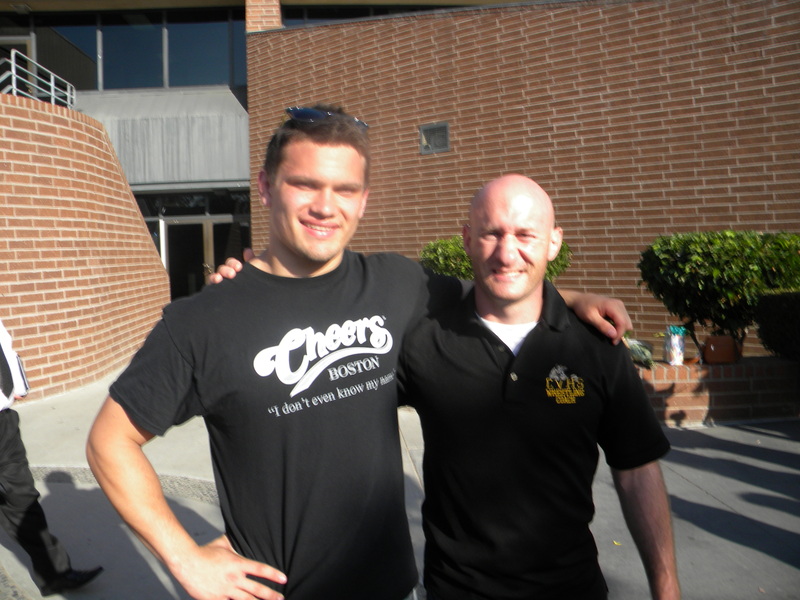 My eldest son, David, was Valedictorian at Clovis West HS and had a very successful wrestling career. He was a 4X CIF Champion and HS “All-American.” In college he was a 2X NCAA DI Qualifier and Pac-Ten Runner Up at Cal Poly SLO. Dave is now married and living in Dana Point. My youngest son, Danny, is a highly successful artist and photographer in the fashion industry and lives in Laguna Niguel. The sport of wrestling has taught me to set lofty goals, work hard to achieve them, persevere through the hard times and never give-up. These life lessons gained from this great sport would be my advice to future wrestlers at Capistrano Valley. My parting message for young Cougars would be to dream big!!!! Work hard and become a student of the sport. The more technically skilled you become, the greater you level of success. And finally don’t give up on your dreams; continue through good times and bad, until the official finally blows the whistle. 2) Background tidbit: this is my senior year. I have wrestled for two years prior. This is my third year. 3) Best piece of advice you’ve received: never give up. Anything can happen in a split second. 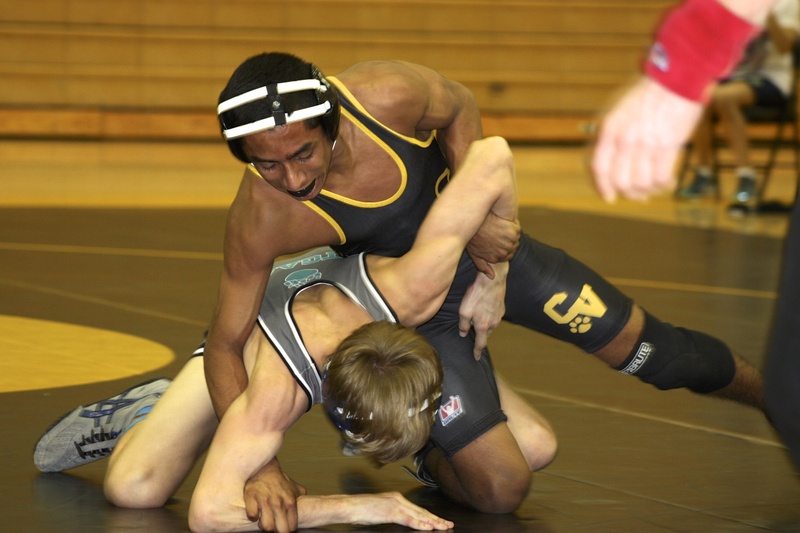 4) Best moment in wrestling so far: my freshman year, I wrestled a jv match. I was losing by 2 points and the time was running low. I took a shot and won the match. It was a hard match but I learned to not give up. 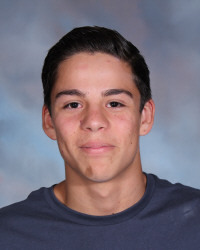 5) What do you like about wrestling and the team at Capo? I enjoy having the team and being like a family. 6) How did you become involved in wrestling? I trained for 3 years in Muay Thai before coming to Capo. I wanted my amateur fight card so I chose wrestling to help me achieve that goal. 7) What are your goals for this season? I want to make it to CIF at least. 8) What do you want to do after high school? I am going into the Air Force after graduation. 2) Background tidbit: I am the youngest of 4 (I have three older sisters) and I played soccer for seven years before trying out MMA in 8th grade. 3) Best piece of advice you’ve received: It’s worth it in the end. Have fun and stay humble. 5) What do you like about wrestling? Wrestling is a hard sport and requires a lot of time and dedication in order to excel at it. 6) Why did you take up wrestling? I started because my MMA instructors encouraged me to. 7) What are your goals for this season? 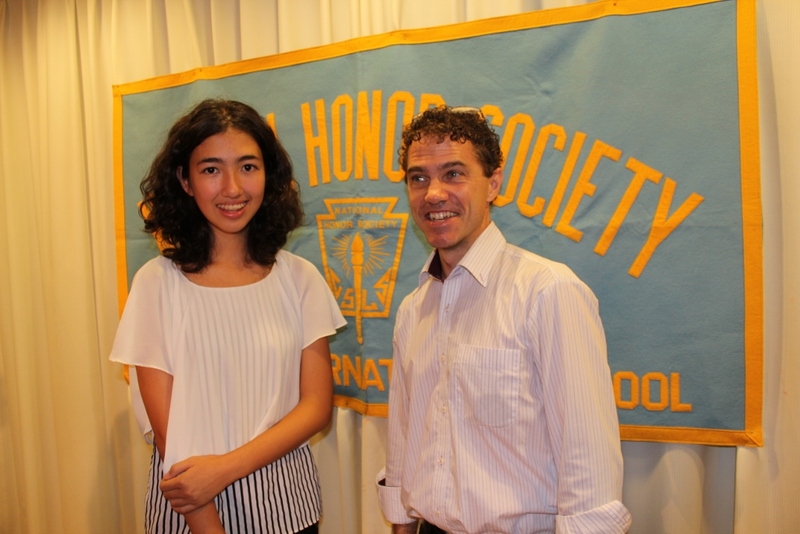 What are your goals for your career at Capo? This year I want to win CIF and go to state. My career goal at Capo is to place in state. 8) What do you want to do after high school? Graduate college and become an engineer. 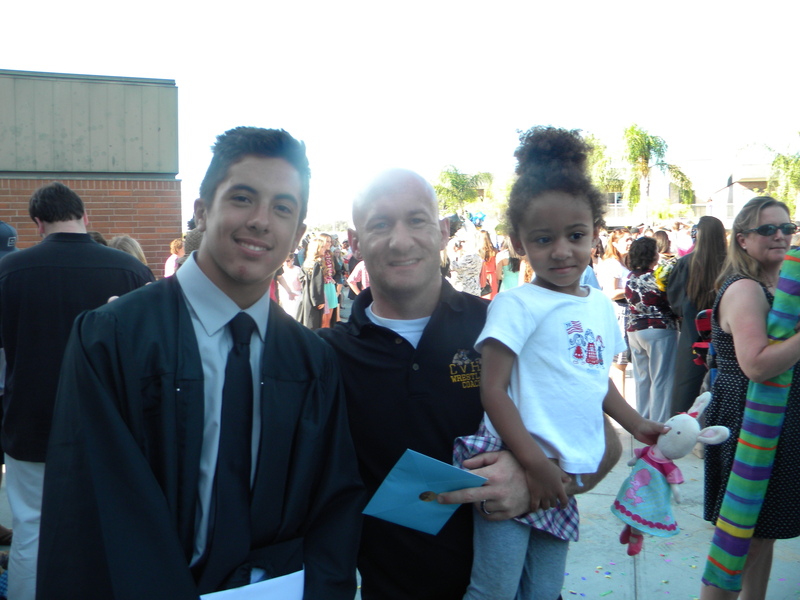 This past Tuesday, six wonderful young men and one wonderful young lady graduated from Capo and our wrestling program. Each person–Geoff Mellor, Mike Davis, Phillip O’shea, Marshall Ferraro, Cody Carlson, Ryan Merrill, and Cynthia Mendoza–have made their mark on all of us. We hope that you have gained wisdom character from being a part of our program, and that you take what you’ve learned on the mat and apply it in whatever challenges you meet hereafter. After you’ve wrestled, things won’t exactly be easy, but they will be much, much easier. The confidence you’ve gained from our program gives you a *big* leg up on the rest of the crowd out there. Know that you guys are loved, and even though you won’t be on the mat for Capo next year, we will always be in your corner.